Its hard to believe that a car in this state is showing a ready light. With all the airbags deployed? Did someone previously connect a mut 3 and clear out the accident codes ? In any case i'm glad its in good electrical shape. Dani what is the end game for this car ? Use the pack for the other car ? Just wondering. I would also like to have a wrecked one to play with. Great pictures please keep us informed. I think I found all the posts relating to this topic and moved them into this new thread and, for now, placed it into this subforum. All in the interest of being able to stay on-topic and find things in the future. Wow, nice, 92% charge. You got lucky that the pack is so full. Also means it's intact since if there was damage surely the SOC would have dropped and/or you would have cells at a lower voltage. So we made it by today. Disconnected the HV plug. Studied the manual. Took off the covers.. The metal coveres. Measured the Voltage. Disconnected the HV wiring. Disconnected plugs around. Took out 4 bolts holding the battery and loosened the rest. Put the car down. Pushed it off the one-sided-lift and over on a pallet. 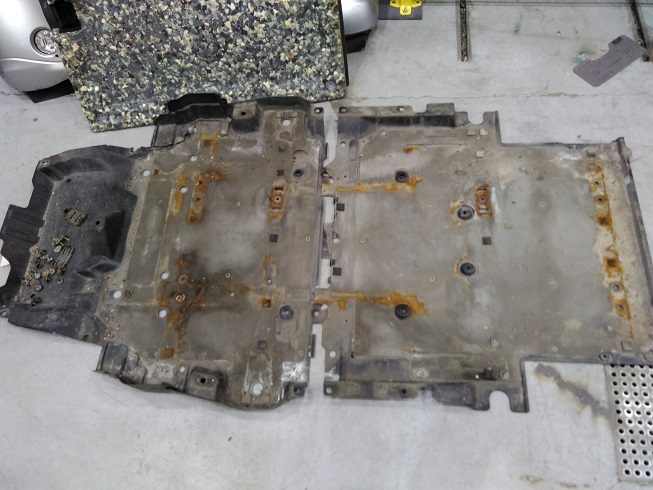 Lifted the pallet up under the battery pack and aligned the pallet with access to the remaining bolts. Unscrewed the remaining bolts. Lowered the pallet with battery on. 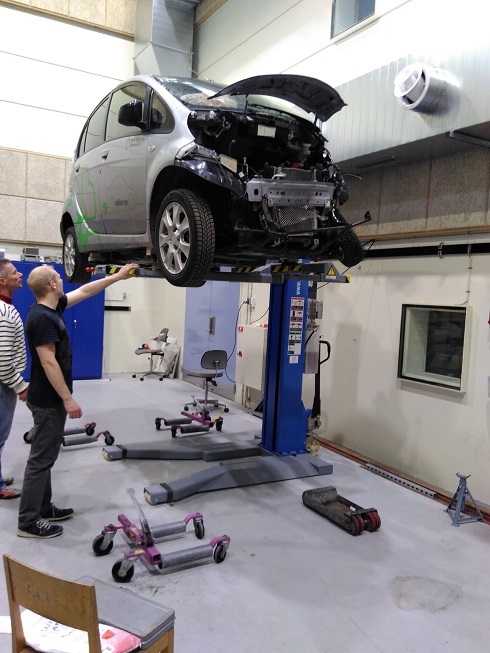 Lifted the car further up in the air using a jack and another fork lift. Pulled out the pallet with batterypack. Risky procedure lifting up the care like this. 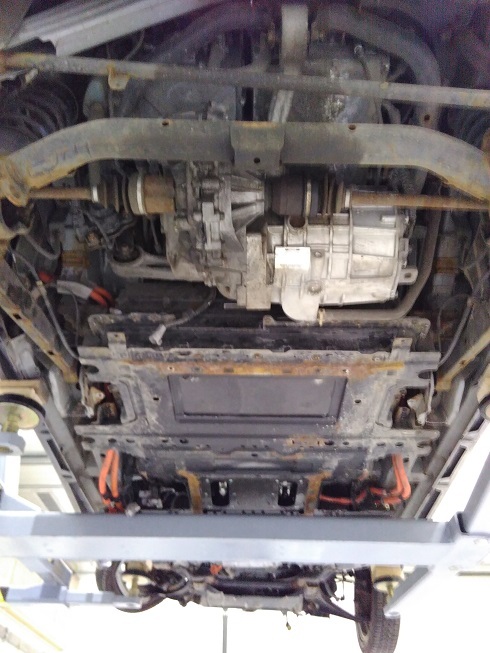 However this was a way we had access to as our car-lift is one-sided and unable to get the battery pack off using the lift due to center base lifting up under the battery. 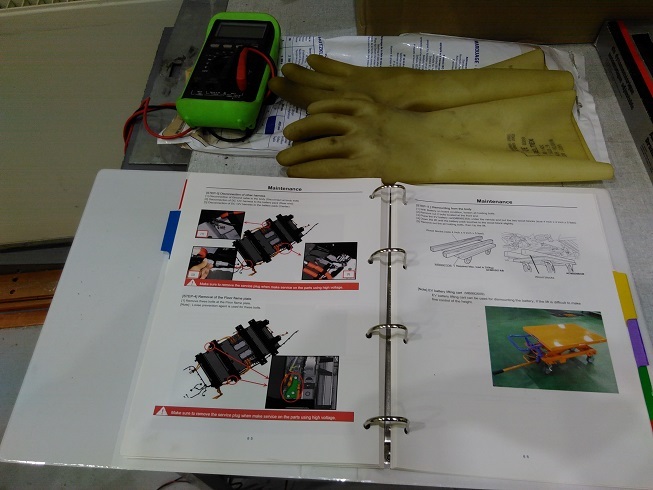 Reading manual and preparing equipment and personell. Raising ev to remove cover. 4 Bolts removed and others loosened. 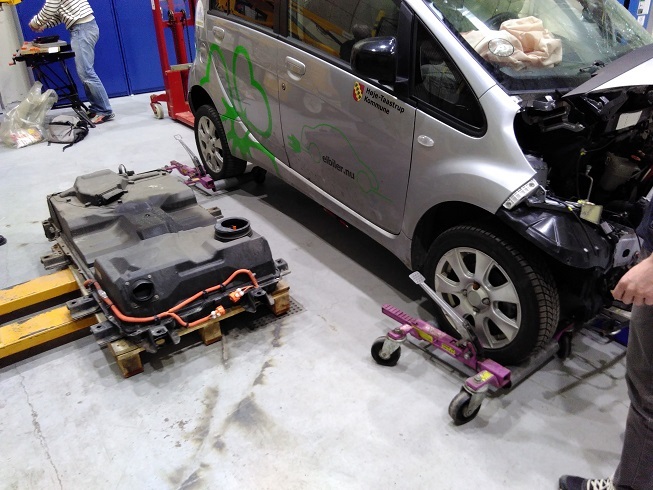 The car lowered down and pushed away from the lift to do the complete unscrewing with battery resting on pallet. 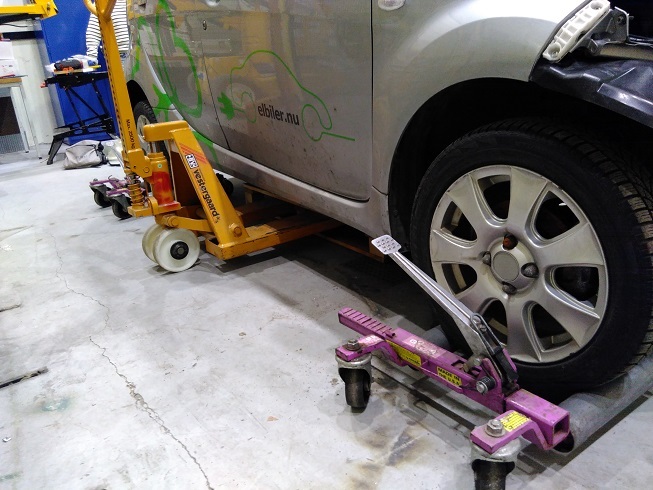 These wheel-rollers or what they are called were great help to manouver the car around. Great we could borrow them from a local towing company who had a pile of them at their workshop. 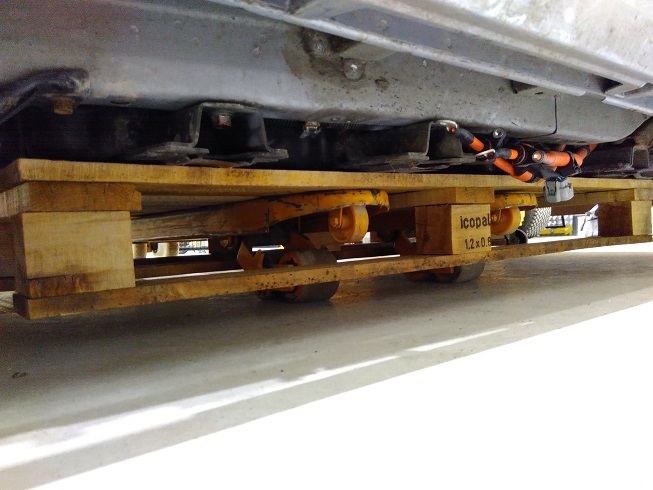 Battery supported by pallet. Now car gets raised using manual forklift in the back with wood pieces on to get the propper support. And lifted from the front with a jack, rather use a second forklift if you can due to balance. Voila! A little bit of tipping and we got the battery pack out on the pallet with help of some very nice ev community fellows. And here it is. Ready to take a close look at another time. 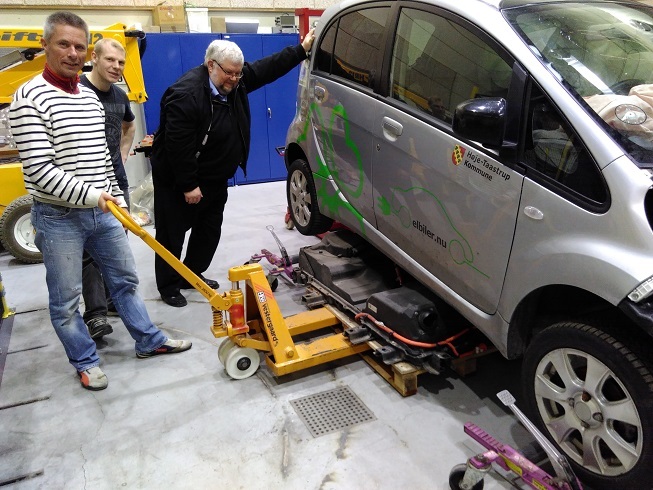 We took it away and put the car out side as agreed with the university. Wonderful this was possible and thanks to all who help with info, equipment and workforce. May this will be of contribution seeing and reading. ..what is the end game for this car ? Use the pack for the other car ? Just wondering. I would also like to have a wrecked one to play with. I'm unaware of any codes cleared on the ev before I got it. The remaining parts of the ev is for spareparts and upgrades I think. Restoring is off the table for me at least. As the initial intend was to get more range on our fully functional ev (same model) I'm considering to use the batterypack as range-extender. Fit it in the back, with seats down as I read somebody mentioned is possible. I wonder if this is also possible in the smaller version which we got which is 2011 european model? In time perhaps make some kind of mobile version in chunks (12 pieces same way as they are lying inside the batterypack) and light enough to remove by hand after disconnecting. Thanks for sharing your responses. Its always interesting to know how the sharing is received and what this bring others. Another distant idea is to refurbish the recovered pack with 18650 cells with 3400-3500mA. However as this has been expressed in various threads this has some expense to it. 4€ a piece is the latest price I got from a local supplier when buying some 2100pcs and delivery time of 14weeks. Such budget is out of the question at this point. Dani - I seem to recall Siai47 had done this, adding an extra pack, and he thought the weight of the 2nd pack resulted in very poor handling. Do you need the extended range on a regular basis ? if not, you could consider putting the 2nd pack on a trailer ? Yeah thanks for reminding. I am aware of the extra weight. I've been considering designs for balancing the load and getting the weight close to the floor of the car. I'm wanting to make a permanent wiring install of connectors so I still have the option to take out the additional cells when needed. So far designs goes from being put around the rear footwells and then stacked up over the rear seats (removing the seats). To the option of putting some 4 of the lev50-8 on the front right footwell which puts some +60kg up front and leaves the remaining +105kg distributed around the rear footwells. 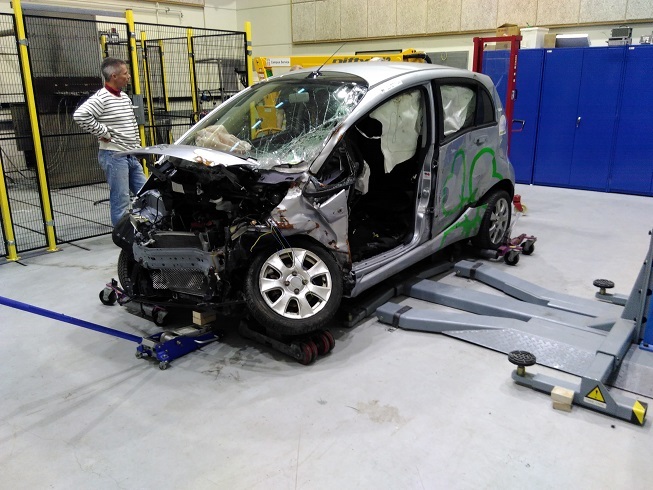 In theory this would make the weight similar to driving around with 3 additional people weighing some 65kg each. These setups of course makes the car 1 or 2 seater. We mostly use this car this way and since I've gotten a bit of attention and support from a university then perhaps showing the possibility of a functional onboard range extender working in practice this might perhaps provide interest in financially supporting an upgrading to the stock battery with new cells. Or interest from others to make it happen. Initial designs show how using 18650 cells of 3350Ah cells these could be fitted in a same way as existing lev50-8 and provide 43,3kW. 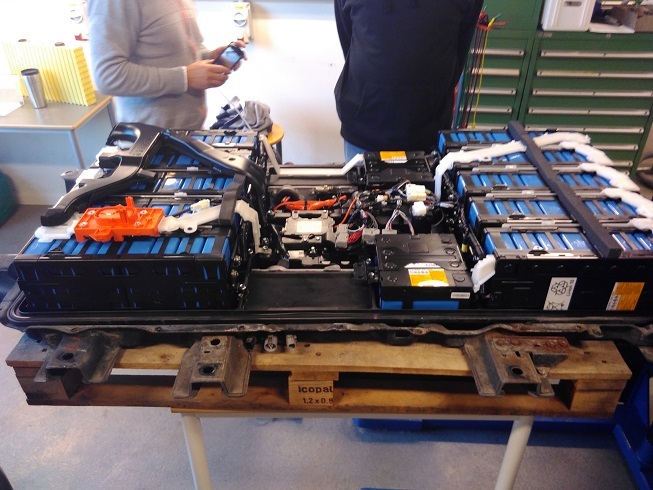 Writting with Siai47 he argues how fitting packs from a wrecked tesla 85-90 would provide cheap cells and how some 75kW of cells could fit in of these cell-packs on the stock battery frame. This would require a new BMS of course. 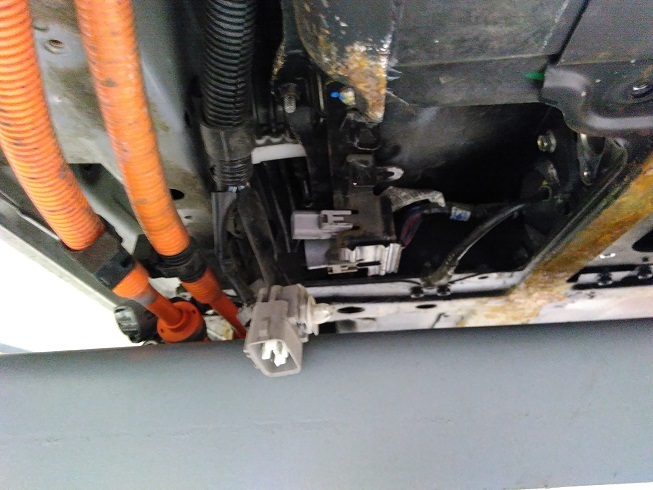 I checked for wrecked teslas by calling insurance companies asking for "totally damaged" tesla's which is a label used around here (Denmark) for cars which doesnt pay off to repair. 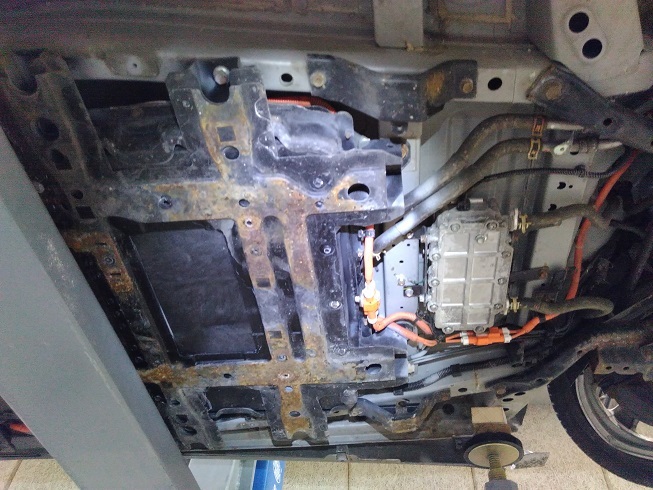 They had one in limbo meaning on the edge of payable, however when calling the repairshop which was doing the work on it they explained how all batteries are to be returned to tesla motors before they get new parts and the whole car/wreck was probably $70.000. New tesla 85 around here is around $120.000. So lots of financial space for the insurance to repair the car. We tried to locate the contactor which I figured would be at the center below a whole lot of clamps. Tuff to get those off in the small space while using protective rubber glove. After a while with rubber gloves on and an isulated flat screw driver I got the clamps off and I could remove the plastic cover. So there are two contactors. The front of the ev is to the right on this picture. 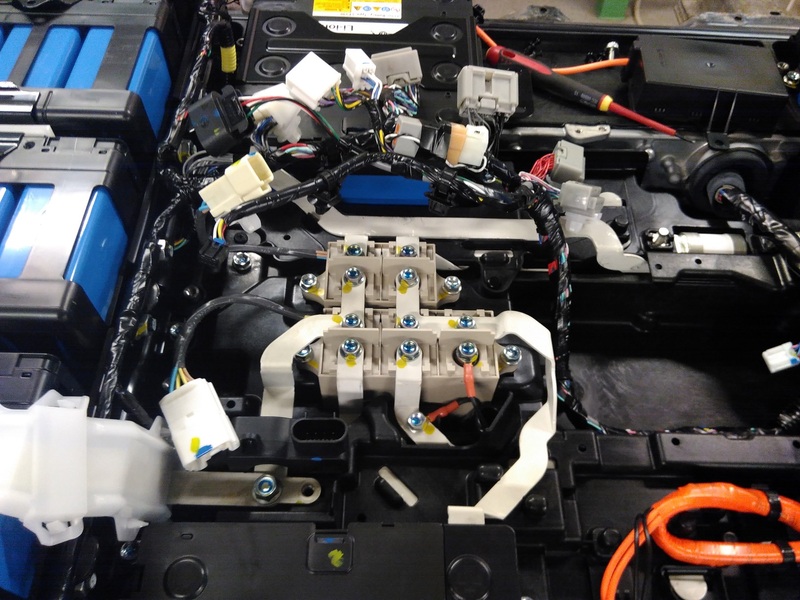 This ev has Chademo and those are connected at the top-right of the picture. Which brings me to think the top contactor being the Quick Charge contactor. Anybody who can verify this from experience? The bottom one seams to connect the battery cells on the top three terminals, and the bottom two I'm guess are going to the HV wiring terminals for the MCU. Again anybody who can clarify any of these assumptions? This will be the contactors pictured from the other side while lifting up the connectors. Front of ev to the left on this picture. 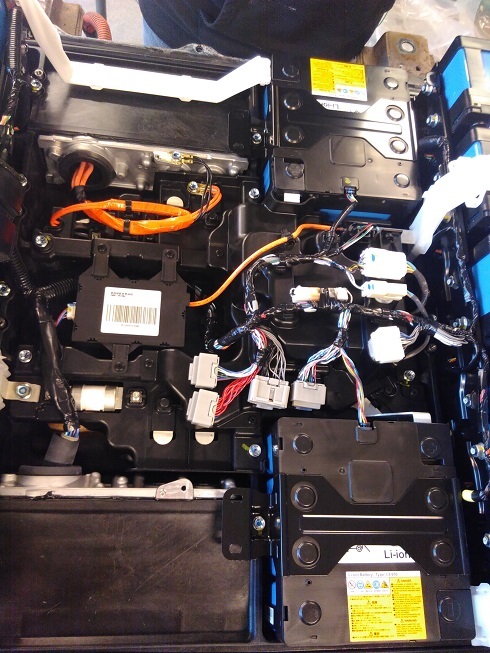 The Chademo HV wires connect at the bottom of this picture on the back side of the frame. To the left is a 250A fuse. Anybody knows if the BMS has a modul located down here in the batterypack somewhere? Careful when you play around down here. This pack has 357V DC on. I had to repeat this message several times to members of the community who kept putting their bare hands close to the naked metal conductors. I guess you call those buss bars. Hope this contibutes with info or at least entertainment about the little project on going here. at least this is how one of the members explained it to me. Now they've got plans of getting another wrecked ev to work on. This is great, thanks for posting the pictures--these are never-seen-before views of the contactors and buss bars. Were the buss bars painted or coated with something--they appear white in the pictures and look like the surface has cracked in some of the bends? 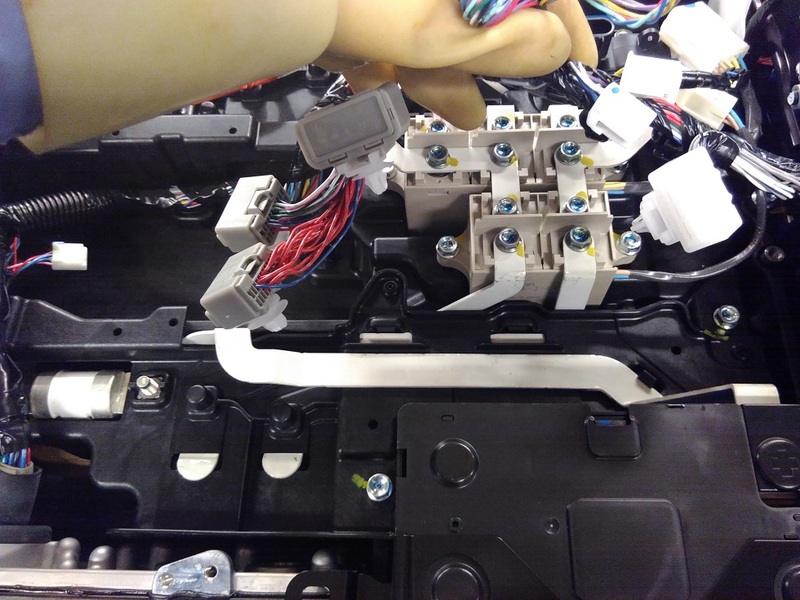 Can you point out the positive and negative terminals on the contactors, maybe we can figure out the routing and cell numbering used in the pack? 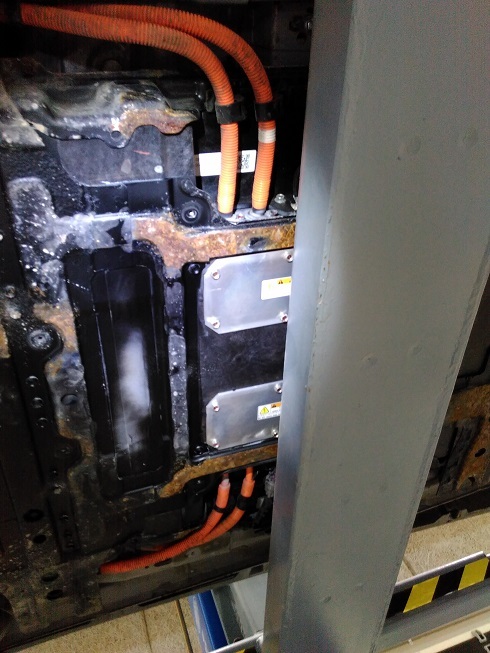 In the third picture of the previous post there is a contactor with red terminal lugs going to the adjacent buss bar--i'm thinking this is the pre-charge resistor connection from the pre-charge contactor to the B+ feed from the pack. Could you measure the value of that resistor? 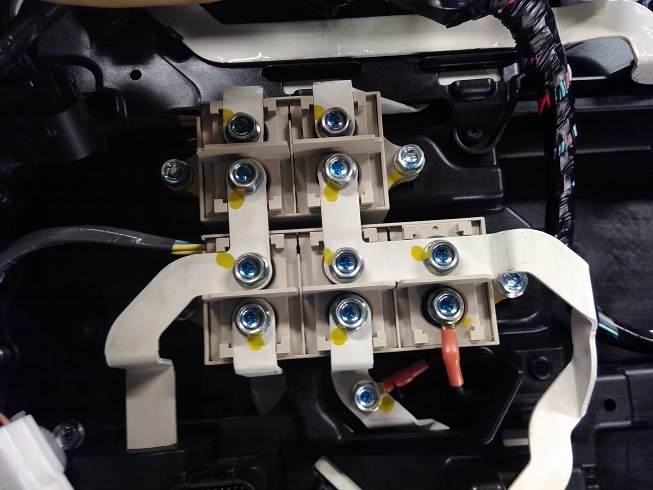 In the last picture of the previous post i'm going to guess that those are the chademo contactors and the positive terminal is on the left--so the wires from the dcqc port will cross on their way to the pack since the chademo dcqc connector has the positive pin on the right looking into the connector. Also that the most negative cell in the pack (CanIon cell #8) is located in the 8-cell module in the far right corner in the back, and the most positive cell (CanIon #85) is on the interior terminal of the 4-cell module on the right side of the pack. Also guessing that the main fuse is located between cell 52 in the front half, and cell 41 on the 4-cell module on the left side of the pack. Last edited by kiev on Thu Apr 28, 2016 11:07 am, edited 2 times in total.